Consolidation was about money. Fixing it is about democracy. 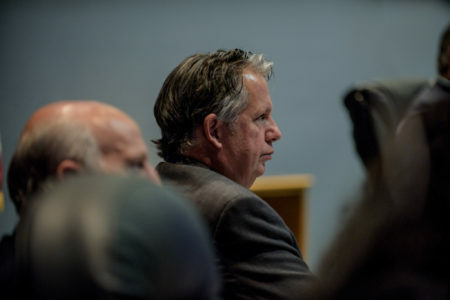 Some argue that the City-Parish Council rushed the charter amendments on Saturday’s ballot; others complain these revisions have been too long in the making. That appeal to basic American principles is an about-face of the economic pragmatism used to justify consolidation in the first place. First they wanted to save money. Now they want to save democracy. All the rage in the 1980s and 1990s, consolidation was championed by chambers of commerce around the country as a way to increase efficiencies and decrease costs. Facing an economic crunch following the downturn in oil in the late-80s, the Lafayette Chamber was eager to support a path to ease business investment and reduce bureaucratic red tape. In 1992, Lafayette voted to consolidate city and parish governments, which took effect in 1996. Lafayette wasn’t alone in its experiment, and it’s not alone in grappling with the downstream effects. The promise of economic savings, investment opportunities, and greater efficiencies drove cities and counties toward consolidation across the nation. On the promise of just such savings, Baton Rouge consolidated with East Baton Rouge Parish in 1949 and merged into a single metro council in 1982. However, in EBR Parish today, while myriad economic battles rage, concerns about fair representation drive discussions about deconsolidation. Leaders of Baton Rouge’s chapter of the NAACP have argued a split council is necessary to gain fair racial representation. While the racial split in EBR Parish is relatively even, the city of Baton Rouge has a majority black population. The consolidated Metro Council currently has 12 members, seven white and five black, disproportionate to the city demographics. Meanwhile, St. George, a majority white community in the southeastern corner of EBR parish, hopes to incorporate into a separate city. Unlike in Lafayette, where the chamber nominally supports the proposal to split the councils, the Baton Rouge Area Chamber adamantly supports continued consolidation, opposing both the idea of splitting the Metro Council and also fighting the incorporation of St. George. While representation is a central concern of deconsolidation proponents, BRAC is concerned about the economic bottom line and argues any split will add cost and financial hardship. Lest we think these issues are wholly a Louisiana phenomenon, calls for fair representation have rebounded worldwide in recent political debates. The Brexit movement in the United Kingdom sounded similar notes. Even at the risk economic inefficiencies and higher costs, supporters of Brexit demanded representation and control over their own political affairs. In the wake of recent political dustups, Lafayette citizens despairing of local political problems have used the social media rally call #Lafayexit to express their frustration. While economic concerns were the driver behind the adoption of consolidated government, worries about adequate and fair representation have been central to subsequent opposition. While economic concerns were the driver behind the adoption of consolidated government, worries about adequate and fair representation have been central to subsequent opposition. 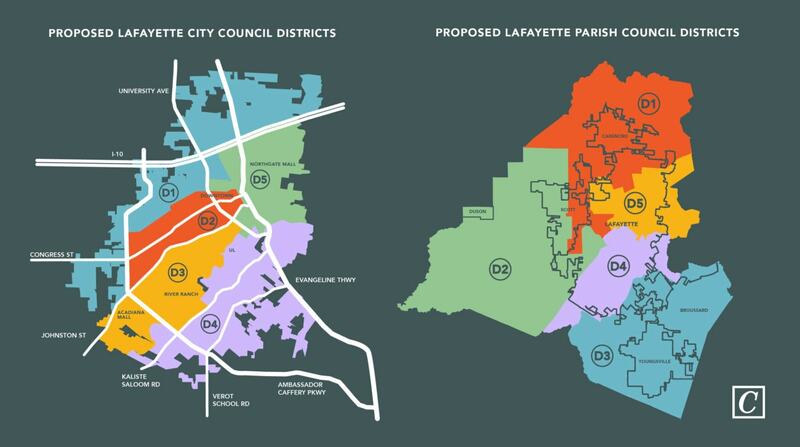 A short 15 years following consolidation, a charter commission tasked with considering revisions put the option of full deconsolidation to Lafayette voters. Though the proposal failed with 63 percent of voters opposed, hope for revision has never died. 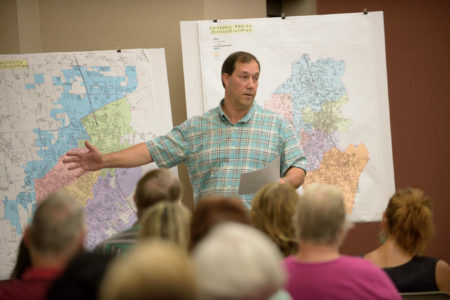 A 2013 charter commission took another shot with a plan that restructured the council to feature five wholly city districts and four wholly parish districts. The idea never made it past the council. That last plan is the spiritual ancestor of the charter amendments before voters today. To be sure, the proposition balances representation, but it also comes with institutional costs, both literal and figurative. While the councils will have their respective legislative domains, a compromise between the two legislative chambers will be necessary to advance budgets. Mayor-President Joel Robideaux noted in his op-ed published Friday that unresolved conflicts between the councils could lead to gridlock. Of course, the mayor-president has a leadership role to play in this process; his office is responsible for crafting the initial budget proposal. Despite the onus of leadership, Robideaux is correct to note the possibility of unresolved disagreements. Bicameral legislatures are particularly vulnerable to such stalemates. In fact, one reason the framers of the U.S. Constitution in 1787 favored a bicameral legislative system was to slow the process down and ensure only those measures with widespread support would advance for the executive’s signature. Because of the potential friction between the two councils, executive leadership is crucial. Unfortunately, the charter amendments leave the executive in a precarious position. While the councils will be separated, the mayor-president role remains united. Compromise may be the only path through that conflict, but that could be difficult to achieve should the mayor-president hail from Youngsville or Broussard or Carencro. Either way, there are executive challenges ahead. While efficiency was the primary goal for consolidation, Lafayette voters are questioning whether the promise of efficiency at the cost of representation is a good bargain after all. When Lafayette first consolidated, the city was following a national trend. We now are poised to be a leader in a national conversation on the limits and benefits of consolidation. Christie Maloyed is an associate professor of political science at UL Lafayette. The mayor-president has accused the library system of defrauding taxpayers to the tune of $21 million dollars. Unfortunately for his credibility, the facts don’t back up his claims. While this is the most concrete movement we’ve seen on the Old Federal Courthouse in some time, it’s far from a done deal that redevelopment will go through.